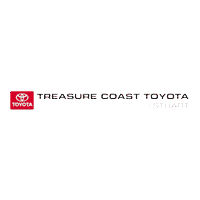 Come to the Treasure Coast Toyota of Stuart service department for car service that won’t break the bank. We have a rotating selection of coupons for oil changes, brake service, and more. Once you view our auto repair coupons on our website, make your way to Stuart, and we’ll help you keep your car in top shape! Toyota models only. Present coupon at time of purchase. Coupon not valid with other coupons. No cash value. One coupon per customer. Taxes, shop, and disposal fees additional. Expires month end. Cost applicable on most vehicles. Toyota models only. Present coupon at time of purchase. Coupon not valid with other coupons. No cash value. One coupon per customer. Taxes, shop, and disposal fees additional. Expires month end. Why Buy Toyota Brake Pads? Contact us today with any questions before scheduling service, and be sure to check out our benefits program as well! We can also help you learn to see for yourself if its time for maintenance, such as checking your tire tread depth. While you’re waiting for your vehicle’s service to be done, check out some of the best restaurants in Stuart, FL!